Animal populations with impoverished genetic diversity are inherently less able to adapt to changes in their environments (such as climate change, disease outbreaks, habitat change, etc.). The isolation of the four remaining small bongo populations, which themselves would appear to be in decline, means a substantial amount of genetic material is lost each generation. Whilst the population remains small, the impact of transfers will be greater, so the establishment of a “metapopulation management plan” occurs concurrently with conservation initiatives to enhance in situ population growth, and this initiative is both urgent and fundamental to the future survival of mountain bongo in the wild. 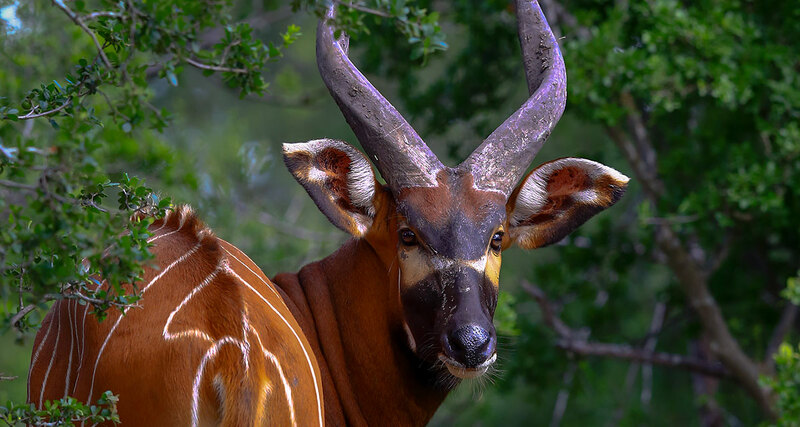 The eastern/mountain bongo’s survival in the wild is dependent on more effective protection of the surviving remnant populations in Kenya. If this does not occur, it will eventually become extinct in the wild. The existence of a healthy captive population of this subspecies offers the potential for its reintroduction.